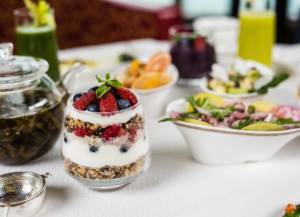 Sahn Eddar, Burj Al Arab Jumeirah’s opulent restaurant has just launched a brand new three-course energizer breakfast that’s taking Dubai breakfasts to new dizzy heights. 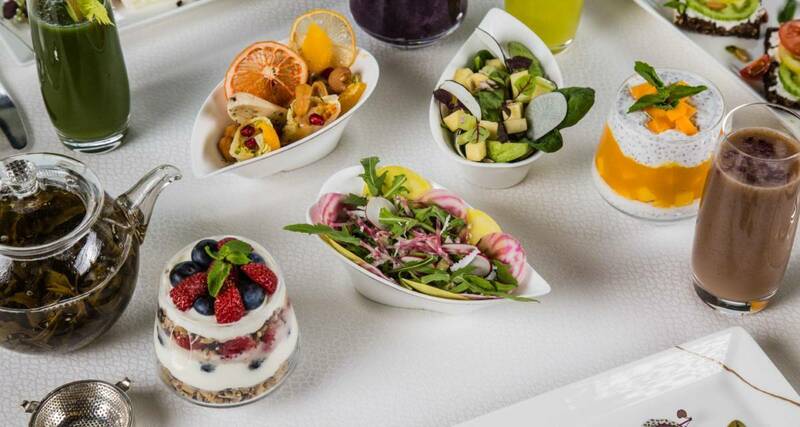 Consisting of fresh blended juices, raw and vegan salads, high-protein mains and superfood-based sweet pots, the 7-Star Chefs had our well-being AND taste buds in mind when putting together this fab new brekkie menu. It costs AED 180 per adult and just AED 90 for children 4-11 years which is AMAZING value considering you’re in the most luxurious hotel in the world, you get three courses of THE most beautiful breakfast treats and you’ll undoubtedly come away bowled over not only by seriously exquisite flavours, but also the service and surroundings that we love about Dubai’s number one landmark. 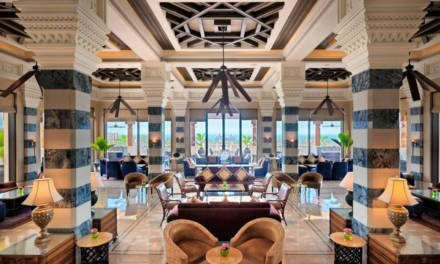 Be suitably impressed stepping into the world’s tallest atrium (that visitors are guaranteed to LOVE just as much) and with a spot next to the window, happily chat away overlooking holiday-makers on the tranquil shoreline of Jumeirah’s best-known resorts. This feast of a breakfast oozes fresh fruit, super-seeds and lots and lots of goodness, but if you think a healthy menu is only for raw, vegan or gluten free eaters – think again because Superfoods have been going mainstream in a BIG way. Sahn Eddar will kick start your day with freshly blended juices that are quite simply, delicious. 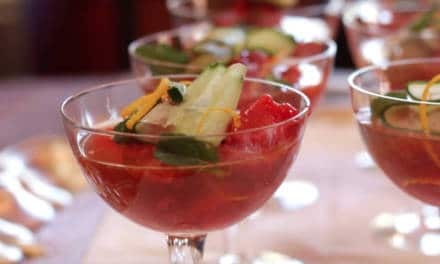 Yet their fab fruity-fusions are just the beginning of this healthy breakfast journey as there are not one, not two – but three courses yet to come, simply bursting with scrumptious raw flavours. 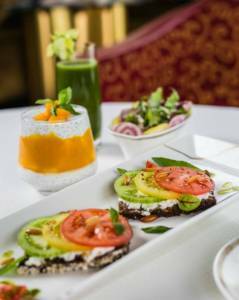 But that’s not where the story ends, because as breakfast time draws to a close, Sahn Eddar transforms itself into a much-loved Arabesque Afternoon Tea that encompasses a delicate fusion of East meets West. 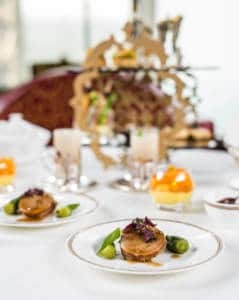 With the sound of the Oud in the background, it’s no wonder this is one of Dubai’s most-favoured Afternoon Tea’s that carefully balances the Great British treats that we know and love with subtle Emirati flavours. 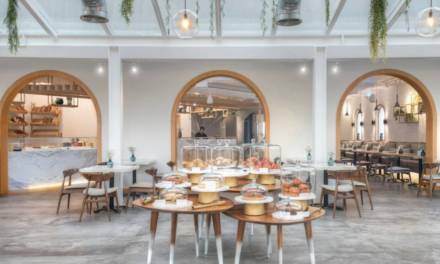 Of course, no Afternoon Tea would be complete without a little piece of home and with a savoury stand that’s as spectacular as the scenery around you, Sahn Eddar captures the authentic flavours of Afternoon Tea perfectly. If Tea’s not your thing though, fear not, as the Arabesque Afternoon Tea offers a huge range of drinks from freshly squeezed juices to hot drinks – there’s something for everyone. 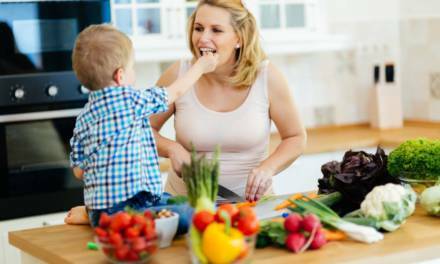 Afternoon Tea costs AED 520 per person with non alcoholic drinks, AED 560 for Afternoon Tea including champagne and children 4-11 years cost AED 260 with children 3 years and under being free of charge. Sahn Eddar is open for breakfast from 8am until 10:30am and Afternoon Tea sittings are at 1pm, 3pm and 5pm but you must book early as Sahn Eddar is just as popular for it’s venue as it is for its’ food offerings. NextWIN ONE OF SIX PAMPERING VOUCHERS FOR SUGAR BEAUTY LOUNGE – WORTH AED500 EACH!